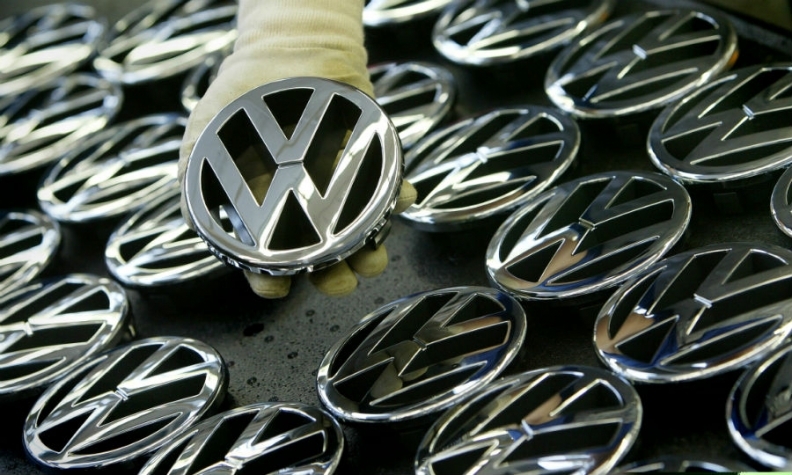 BERLIN -- Volkswagen said it will halt production at one of its biggest factories in Germany on more days than originally planned because of shrinking demand for the Passat sedan and wagon models. Production of the Passat midsize model at VW's northern German plant in Emden will be stopped on Feb. 16-17 and Feb. 21, a spokesman said, adding to disruptions agreed earlier this month. VW said last week it will shut down the Emden plant which employs about 9,000 people for eight days between Jan. 25 and Feb. 3 and on Feb. 20, he said. "We are having problems in England, Turkey and Russia," the spokesman said. "Demand for the Passat is declining, we cannot rule out further shutdowns until Easter. No one knows how the world will develop." The plant in Emden was affected by disruptions last summer when suppliers halted parts deliveries to more than half of VW's German factories over a contract dispute. The factory, adjacent to one of Europe's largest vehicle transshipment ports, is particularly exposed to weakening demand for the Passat since it stopped making the CC saloon in October and has not yet taken up assembly of it successor, the Arteon.